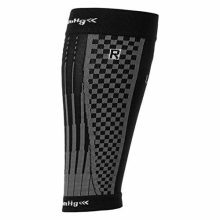 Compression sleeves have been used in the medical world for years and now athletes can enjoy the same benefits. Lorpen’s Anatomically Balanced Compression sleeves provide graduated compression that optimizes blood flow and oxygen delivery to the muscles in the leg. Graduated compression has maximum compression furthest away from the heart and gradually releases up the leg. With the vein diameter reduced near the ankle, this helps to push de-oxygenated blood back to the heart. The heart is then able to provide more oxygen rich back to the legs and the rest of the body. Using compression also helps to reduce muscle vibration on ground contact. Combined with increased blood flow and oxygen to the muscles, this leads to faster recovery. Faster recovery means less muscle soreness after athletic events and helps alleviate swelling and inflammation. 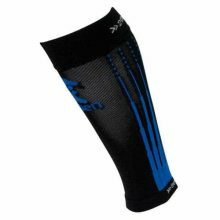 Lorpen Compression Sleeves are great for athletes who want every advantage they can get. 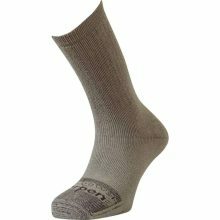 Reminder – This is not a full sock, just a sleeve. 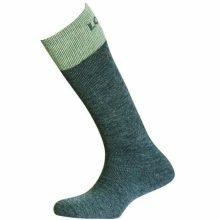 Utilize the power of wool with Lorpen’s Wool Hunting Socks, which naturally wick moisture and provide insulation even when wet. Lorpen has added a touch of lycra to promote the perfect fit and eliminate bunching and hot spots. Enjoy! Italian wool for warmth and a soft feel against the skin. 10% LYCRA all throughout the sock means no slipping or bunching up. These socks will stay up in your boots all day long! Medium cushioning for added comfort and support. 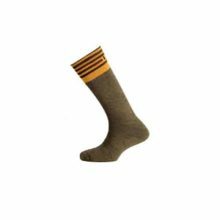 The inner layer is made from a mixture of high-quality Italian wool and acrylic, so that your feet will always be warm. The outer layer of polyamide prevents the appearance of calluses and increases the wear resistance of the sock. Lorpen started as a small manufacturers of technical socks at the Basque Country of Spain in the early 1980s. The founder had arrived on the search function to find innovative and functional socks for walking and hiking friends at the same time. Meanwhile it is a company with a manufacturing facilities on two continents and socks sold in 22 countries all over the world. The inner layer is made from a mixture of high-quality Italian wool and acrylic, so that your feet will always be warm. The outer layer of polyamide prevents the appearance of corns and increases the wear resistance of the sock. 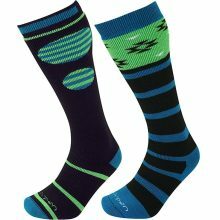 High socks (socks) for snowboarding and downhill skiing in cold weather conditions. An additional zone of lycra on the upper part and on the lower part of the tibia, on the rise of the foot, allowing the sock not to crawl and not to gather with an “accordion”. Properly selected percentage of components, allows you to achieve heat retention, pleasant and comfortable sensations for the skin, while reducing the cost of socks, which does not reduce the quality of the product. 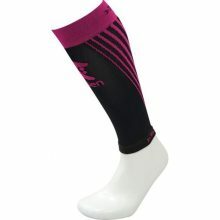 Anatomical shape, especially for the left and right feet of each sock, provides double strength and double protection. The unique flat seam on the toe does not rub the toes, which gives additional comfort. A Lorpen non-ribbed classic with natural silk in contact with the skin and Thermolite® to maintain warmth. 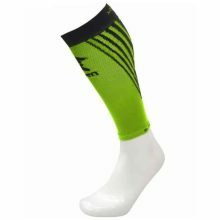 Thick warm double-layer socks (socks) for the youngest athletes. The inner layer of a mixture of high-quality Italian wool and acrylic, so that the feet will always be warm. The outer layer of polyamide prevents the appearance of corns and provides maximum wear resistance. Materials: Italian wool 37.5%, acrylic 37.5%, nylon 15%, lycra 10%. 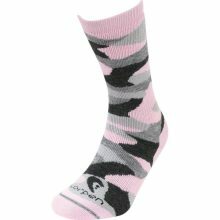 The Women’s Camo Sock was designed specifically for women with all of the great Lorpen technology in a fun camo pattern design. 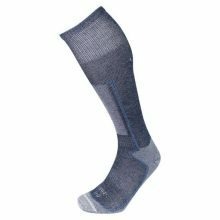 The combination of Merino Wool and Acrylic provides all-day warmth while wicking moisture away from the foot to keep you dry. 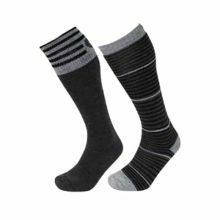 Knit with medium cushioning all throughout the sock for warmth and a snug fit within your boots that prevents irritation from the inner boot liner. Stand out with this fun, functional, fashionable sock! 10% Ea. 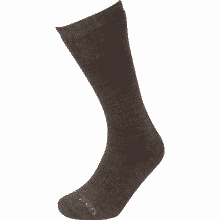 LYCRA® all throughout the sock means no slipping or bunching up. These socks will stay up day long. Lorpen cares about the environment. Lighting our factories with natural light during the day, recycling everything from office paper to yarn no longer used in production, and looking for natural sustainable alternatives to synthetic yarns when they can be shown to deliver the performance that we and our customers are looking for. 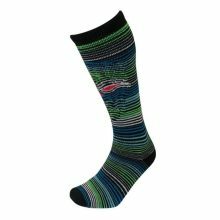 A great all-round sock for Ski and Snowboard activitIes. Designed with medium cushioning for warmth and protection. 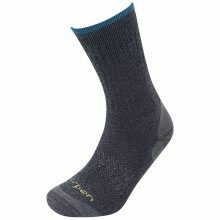 Knit with Merino Wool that provides all-day warmth while wicking moisture away from the foot. 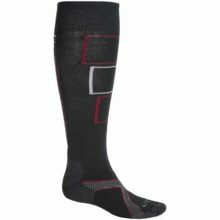 This sock is great for high performance days on the slopes when you need a sock that wont slip down or feel damp and cold. All of this in a 2-pack for great value! – Merino wool is a finely crimped and soft wool with staples (fibre lengths) that are commonly 65 100 mm (2.5 4 inches) long and less than 24 microns in diameter. The core of a merino fibre is hydrophilic (water retaining), and is breathable. The fine micron diameter ensures it feels soft and comfortable next to the skin. 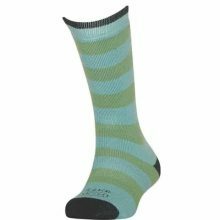 Merino has the ability to help keep the foot warm in winter and cool in summer.